House and Land is a collaboration of Sarah Louise (VDSQ, Scissor Tail Editions) and Sally Anne Morgan of the Black Twig Pickers (Thrill Jockey). Their first album is out now on Thrill Jockey. You can listen to a free track and order CDs, vinyl, and digital downloads here. 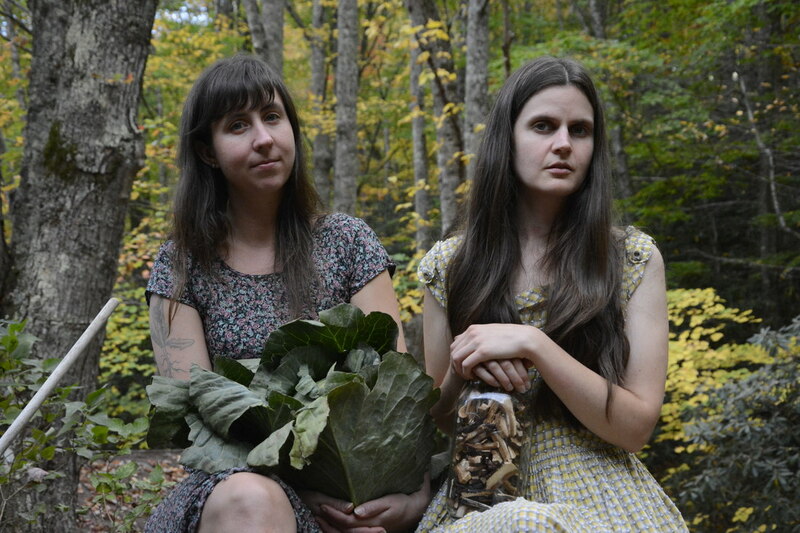 Together, Sarah and Sally play haunting psychedelic Appalachian folk drone that invokes the rhododendron thickets, creeks and mountains of their local landscape in Western North Carolina. Sarah Louise is a preeminent 12-string guitarist, whose playing is influenced by clawhammer banjo and other nature-based drone styles from around the world. Her lush, hypnotic compositions are bolstered by Sally’s droning fiddle style, that incorporates traditional mountain fiddle tunes as well as modern improvisation and minimalism. Sally’s playing in the Black Twig Pickers, who have a history of collaborating with guitar heavyweights from Jack Rose to Steve Gunn, has geared her towards this perfect collaboration with Sarah. Together as House & Land, they weave their instrumental prowess with medieval vocal harmonies to create something both rooted in tradition and altogether new. "[House and Land] understand that folk music is a music that moves forward, as old hymns and songs passed down are just as restless and relevant as the time they were first written. Their self-titled debut...is a rich and seeking record, braiding the natural connection between traditional Appalachian folk music and modern composition." More here.
" House and Land's self-titled debut feels expansive and immersive while using the simplest resources. Its source materials stem from centuries-old folk songs...but Louise and Morgan attack them with urgency and excitement." "The minimalist drones and striking harmonies provide a sharply drawn backdrop for age-old lyrics that, in House and Land’s hands, sound hauntingly up-to-date and modern"